Every artist has a beginning, and, in an exhibition running until September, The Hepworth Wakefield is sharing the story of Barbara Hepworth, born in 1903. A room of curated juvenilia including photographs, scrapbooks and early works, as well as the earliest known portrait of Hepworth, painted by Dame Ethel Walker RA for her 18th birthday, offers glimpses into the early life of the sculptor. While Hepworth's works in the exhibition aren't included in her catalogue raisonné, they attest to her early gifts in understanding form and scale. Portraits of Mary Fennell and George Parker, executed in pencil, also attest to the role of circumstance. In an era when women weren't expected to have careers, Hepworth's progressive father not only encouraged his daughter's gifts but also procured for her these commissions, which were essential in developing her artistic identity. 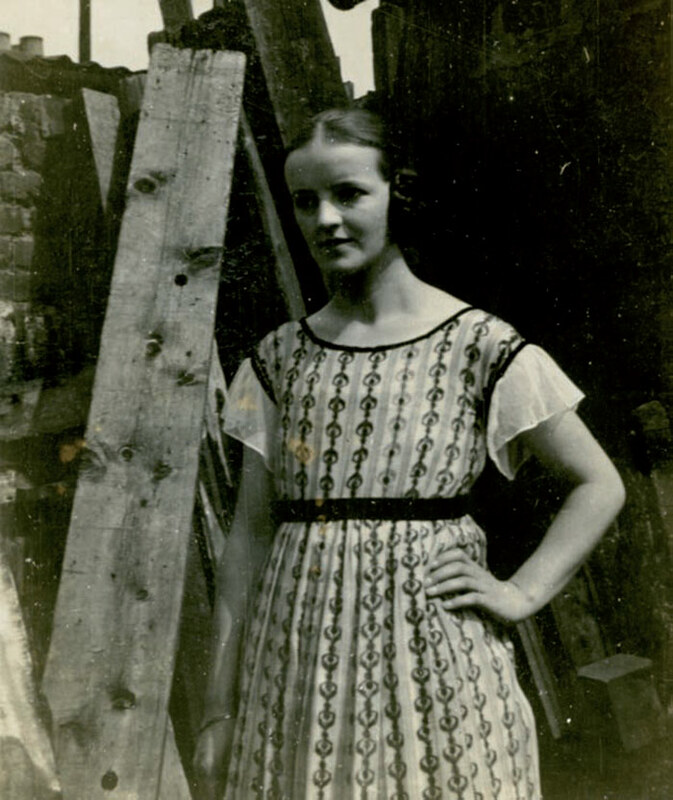 The focus on Hepworth's drawings also illustrates how her scholarships were secured, first at the Leeds College of Art, then the Royal College of Art. 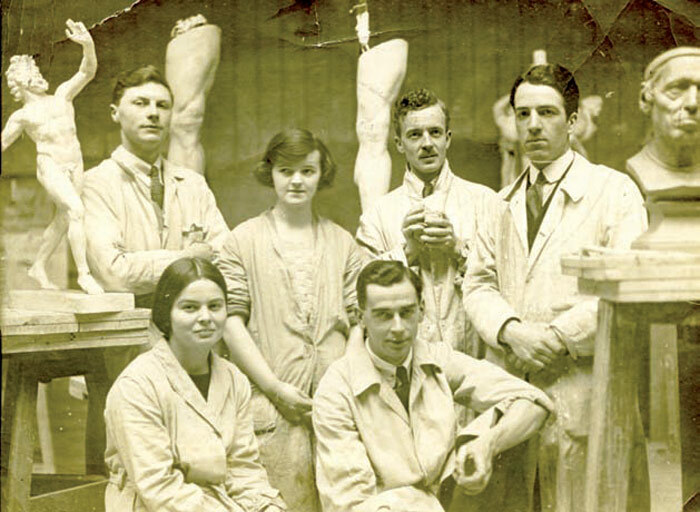 Only after Hepworth's admittance to the RCA, and having made a bust, could she enrol on a sculpture course. Born in Wakefield as the eldest child of middle-class parents, Hepworth's father Herbert Hepworth was a civil engineer who would later become County Surveyor, possibly accounting for Hepworth's technical accuracy when submitting drawings for sculptures made in the foundry. While driving in her father's car (an early model), Hepworth was often lifted up to see over hedgerows, observing the sculptural forms of the landscape and the road's division of the hills. Like Hepworth's contemporary, Moore, this integral connection with landscape was to continue, shaping her outlook. Nine black-and-white images of Yorkshire line one wall of the exhibition, their locations selected by Hepworth and published in a book, Drawings from a Sculptor's Landscape (1965). These carefully commissioned images, taken by Magnum photographer Lee Sheldrake, convey a sense of the landscape seeping into Hepworth's bones, re-emerging in her muscular, later forms. 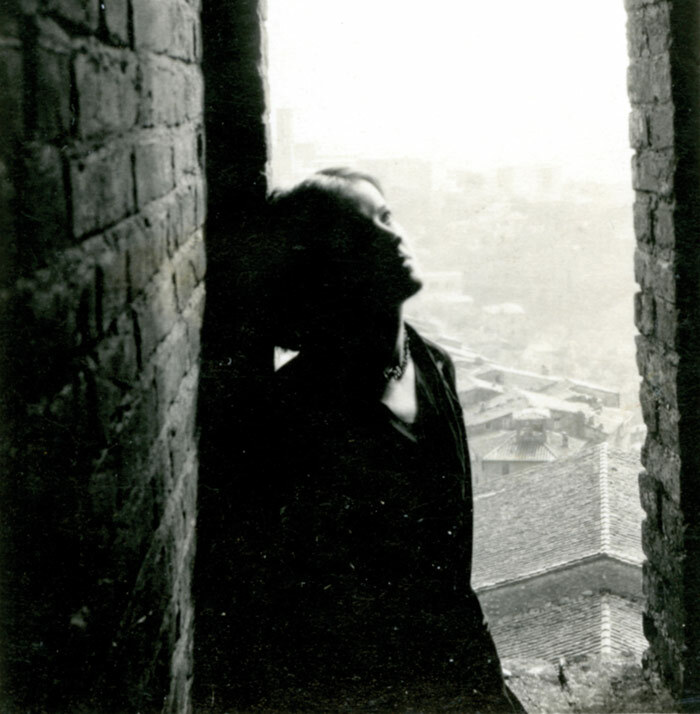 More personal photographs on display reveal a treasure trove of Hepworths, showing her in various guises. 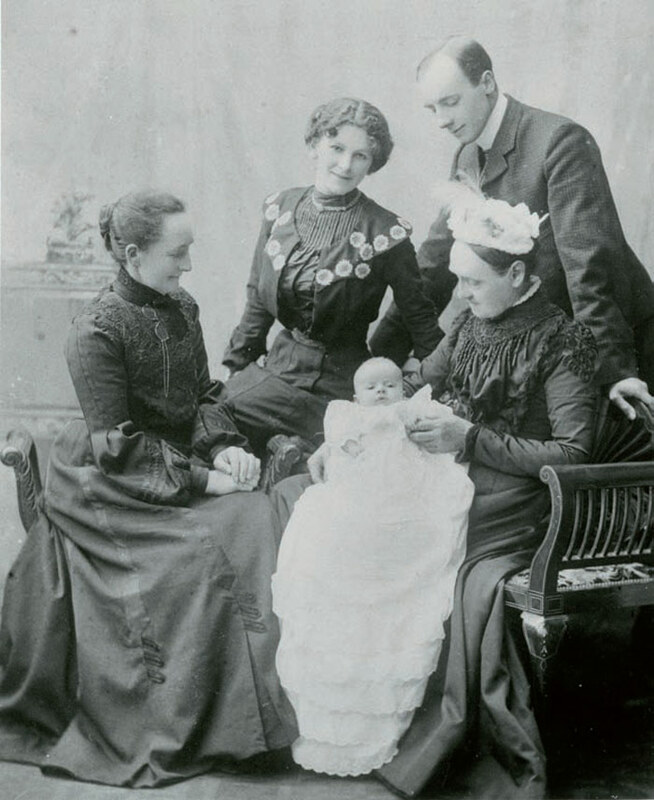 Victorian-dressed adults, including her father, cluster around a two-month-old Hepworth in one photograph, while a pert young 'Hiawatha Hepworth' reclining on fur skins in another reminds one of Lewis Carroll's portraits of girls. 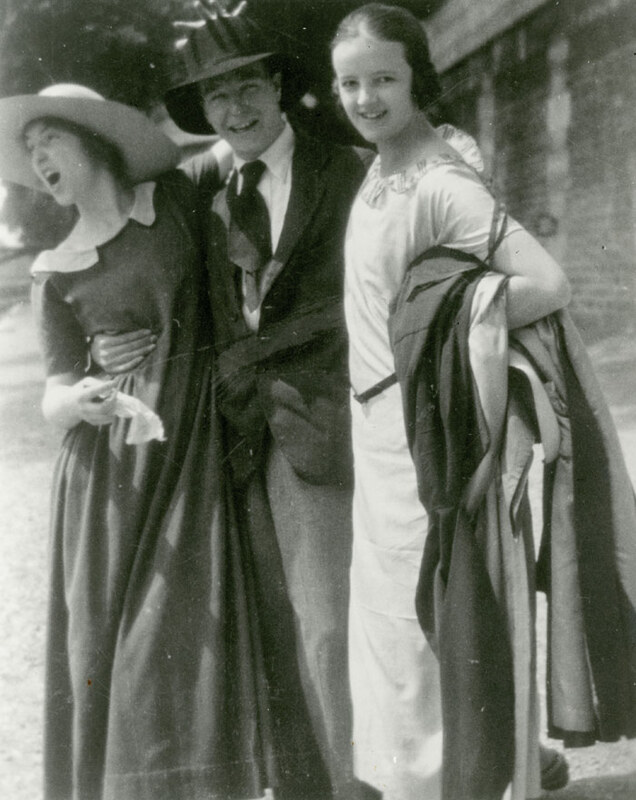 An older, more assured Hepworth is seen travelling on her West Riding scholarship in Italy, where she would meet her husband, the artist John Skeeping, and in Paris she poses carefree and confident, with Henry Moore and Edna Ginesi. A final, surprising image taken at a King's Road studio presents a glamorous, made-up Hepworth, her heavy brows, luminous skin and formidable hair-parting offering a resemblance to Frida Kahlo. Hepworth's portrait by Walker anchors the room. Commissioned by Hepworth's father and shown publicly for the first time in 90 years following its auction, acquisition and recent donation, the painting presents Hepworth looking down, her slender, girlish limbs painted cream with blue undertones, appearing graceful and pliant. It's an image at odds with the later, more familiar images of the fiercely independent sculptor. Contact with Walker was made through the Hepworths' regular summers spent in Robin Hood's Bay, where a community of artists lived part-time and exhibited in the New English Arts Club. The painter, described by Augustus John as one of England's 'foremost artists', counted Vanessa Bell among her sitters. Meeting the strong-natured, critically acclaimed Walker would have represented a step in Hepworth's development, linking her to the possibilities of the future. Another strong component of the exhibition is an early plaster relief of Hepworth's cousins Jill and Peggy (1918), made with plaster used for broken bones, obtained from Hepworth's GP uncle. Hepworth's depiction of her cousin's chubby young cheeks shows an honesty for angles and dimensions. Oddly, the plaster's origins isn't mentioned in the wall text, but was shared with me by the curator, Eleanor Clayton. Indeed, for a show about an artist's early life, Hepworth in Yorkshire is surprisingly stripped of supporting information. Understanding the biographical narrative is crucial for a rewarding visit, and without adequate texts, this small yet valuable room may appear like an addendum to other, larger Hepworth exhibitions on show. The Hepworth Wakefield is also presenting A Greater Freedom, offering an examination of the sculptor's final years, and Plasters: Casts and Copies 1965-75, addressing the work of Hepworth and her contemporaries, while Tate Britain's major summer retrospective opens in June, the central show in what is undoubtedly the season of Hepworth. Nonetheless, Hepworth in Yorkshire is a thoughtfully curated exhibition. It will soon be refreshed to allow more of a focus on Hepworth's time at Wakefield's Girls School, including a drawing made of the gym mistress. And it reminds us that no matter how international in outlook it becomes, an artist's success must begin somewhere.